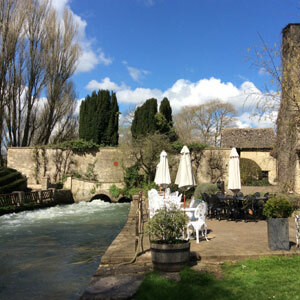 This page provides general background information on our tours of the Cotswolds. For full descriptions, as well as the option to Book and to check Availability, please view our Tours page. Many years ago, we began by offering guided tours through the city of Oxford. We focused on small groups, ensuring a more direct personal service, and employed knowledgeable, highly-qualified guides. We still offer those tours, through our companion website at Explore Oxford, but since 2015 we have also been running regular minibus tours into the surrounding Cotswolds and England’s “West Country”. A full-day tour taking in many of the key sights of the Cotswold area, with time to pause and explore as well as capture the essence of the Cotswolds. A full-day tour that takes us a little further afield within the Cotswold region, to include visits to Cheltenham, Bampton and Kelmscott. A half-day tour through glorious countryside and delightful villages, offering those with just a spare few hours a wonderful introduction to the Cotswolds. For the perfect combination, make a day of it by doing a Walking Tour of the Medieval city of Oxford in the morning before taking the Sunday afternoon Taster trip to the Cotswolds! Through our sister company Explore Oxford, there’s an additional charge of just £15.00 per person. New for 2019, this Saturday half-day tour is only available between June and September. Guests not only visit some glorious villages and travel through verdant Cotswold landscapes, but also enjoy the chance to explore Bampton, location for some of the most evocative scenes from the television drama Downton Abbey. 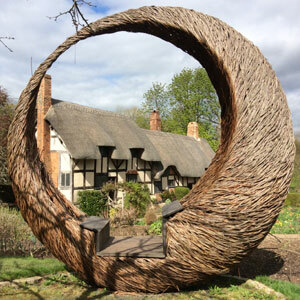 This Wednesday tour combines the stunning natural scenery of the north Cotswolds with a guided exploration of Stratford-upon-Avon. We also run special themed tours, such as our Cotswolds in Steam excursion, as well as the occasional tour to other areas nearby, including Salisbury and Stonehenge. 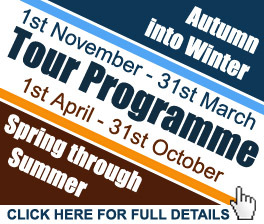 Please check our Tours page to see what may be available currently. 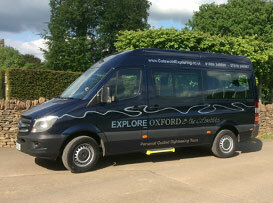 All our tours depart from The Visitor Information Centre in Broad Street, Oxford. They are hosted by entertaining and engaging guides, who can not only offer an insightful commentary on all there is to see, but will also be happy to answer questions. Our guests travel in our own spacious and comfortably appointed Mercedes 12-seater Minibus, complete with air conditioning (warmer or cooler!) and cool box, well-stocked with soft drinks. We make regular stops along the way, allowing time for taking photographs, browsing around the villages and towns, pausing to do a bit of shopping, and visiting key attractions. Please note that our prices do not cover admission charges. Itineraries and routes are also subject to change, and may be dependent upon weather, traffic conditions and other circumstances beyond our control. We regret we cannot operate a scheduled tour with fewer than two passengers. If you are proposing to join us as a single guest, please check with us first before making a booking, to ensure so that we already have others booked for that day’s tour. Please check our Terms & Conditions for further information and answers to frequently-asked questions. If you would like to reserve one of our Tours, or you have specific questions about any of our services, please do not hesitate to Contact us. We can also offer a bespoke service to groups of up to 12 persons, as well as a professional guide service to coach operators visiting the area. Looking for a tour in another part of the United Kingdom?